There are some brand-names that achieve greatness in the kiddie world without even trying! 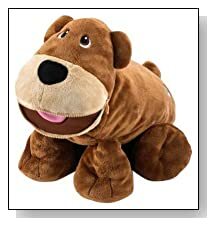 Stuffies is one of those names. Stuffies in 2014 has really hit the proverbial nail with their line of adorable, cuddly animals with matching storybooks in custom-cutesy pouches. There are 7 secret compartments in each stuffed animal, providing children with locations to hide their most valued treasures. Plus, the featured on-the-go book is all about the Stuffie! For example, Blaze the Dragon comes with a tale all about himself. And likewise with Muddzie the Pig, Dash the Horse, and several other awesome animals! Supersized and oh-so-cute, Bravo is a Brown Bear with a heart of gold! 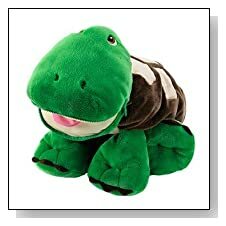 He’s a snuggler – a bedtime buddy that will keep your kiddo’s boogeymen at bay all through the evening hours. And his overall message and moral is… it’s what inside that counts! With 7 hidden compartments for secret-keeping, Bravo packs a wallop of cuteness on the exterior, and protect your child’s most valuable secrets and trinkets on the interior. His 33-page tale is all about being helpful and making friends – looking on the inside rather than the outside when it comes to creating new relationships and bonding with new companions. Shuffles is anything but slow! He’s a turtle – so, of course, the stigma would be that he’s incredibly slow-moving, slacking, and maybe even lazy. But this reptile proves everyone wrong! He’s super-soft, ultra-cuddly, and perfect for chasing away a child’s nightmares at high-speeds. His story details his journey from laughed-at loner to best befriended in 33 pages of morals, lessons, and fun-filled surprises. His book is beautifully illustrated and rife with color – and there’s even a few poems for good measure! 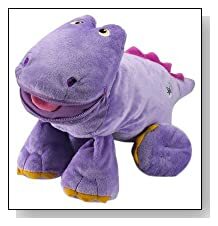 Stomper is a dinosaur with massive, plush feet and a beautiful, super-sweet heart! He’s allover purple with a pink spine (also super-soft) and orange toes. His smile is unleashed with the Zzzzz of a zipper, and his expression is filled with happiness and excitement. Stomper’s story describes how being different (in his case, being much larger than his friends) isn’t a bad thing! Plus, he can keep secrets like nobody’s business! His Dino form is filled with 7 hidden compartments, perfect for keeping secrets or hiding away trinkets. Best friend material? Definitely! 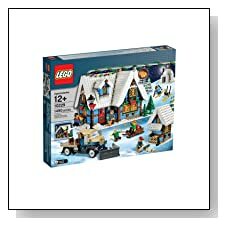 While pondering the season of ghoulish amusement, thankful giving, and spirited cheer, I stumbled upon the new LEGO holiday sets. For me, as a LEGO lover and a caregiver to youngsters who are huge LEGO fans as well, these new knickknacks sparked an overwhelming excitement – one so powerful that I had to resist the urge to buy every single one on-the-spot. And after perusing the newbies, I’ve singled out a few that are worth every penny – the very best of the best, if you will. Each of the following 3 sets represents a holiday in the last few months of the year. 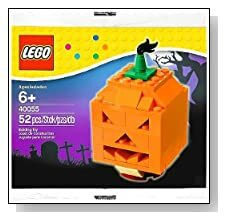 Halloween and Christmas are portrayed by LEGO with beautiful, stackable pieces that become outlets for a child’s imagination and creative freedom. Plus, adults can share in extra bonding time by helping with essential building (and playing). Dubbed the 2013 seasonal release, this pumpkin is by far my favorite from LEGO! He’s simple and comprised of a mere 52 pieces that form a cubed jack-o-lantern with a grinning face and fierce, triangular features. His head is topped with a stack-able leaf and stem, and the pumpkin’s entire demeanor is classic and beautifully reminiscent of a fantastic (and my personal favorite) holiday – Halloween! Ideal for kiddos that wish to count down the days until Christmas, this set contains 24 windows with 24 toys behind each one. 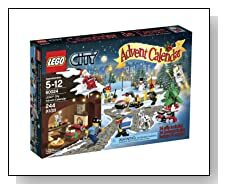 There are mini-figurines, packages, environment settings, and tons of super-cool build-ables for youngsters to find every day that leads to the ultimate holiday. 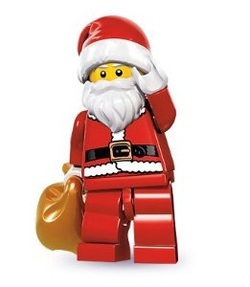 There’s even rumored to be a special mini-figurine to open on Christmas morning – Wink Wink – wonder who that could be! Other extras include a police officer, astronaut, and robber, along with their fascinating amenities to build a makeshift LEGO city. Winter Village is an ongoing project in my household, as there are dozens of sets that will eventually make an entire townscape. This one is the market, and features everything that you could imagine to make a market amazing. There are pies, pretzels, croissants, carnival rides, and 9 mini-figurines to make the wintery holidays awesome. There are also shop-windows brimming with seasonal decorations, and a candy shop where 4 mini-youngsters can gather sweet treats before frolicking happily in imaginary snow. This set is definitely as much for adults as it is for the kiddos! Some of the best toys for children at or around 7 years old are elusive to parents – so, it seems essential to have a short guide for caregivers who wish to make the most of holidays for their kids. The following trio among the best toys for 7 year old kids have a long-standing popularity rating with parents and youngsters alike – and they’re all loved for different reasons. If you’re seeking something creative to keep your wild-child busy, there’s an artistic outlet that allows his or her imagination to run free. While another toy might be just-the-ticket for kiddos with a love for building, designing, and decorating… and then destroying. Every personality is lightly covered within these toys, encouraging your kiddo to learn and mentally grow with subtle lessons in comprehension and other life-essential abilities. This dreamy home is all-about Barbie and her love for entertaining friends – and, of course, her passion for pink. Designed to resemble a mansion, there are 3 floors with a total of 6 rooms, ascending to new heights with hundreds of amenities to make each room into what your youngster wants it to be. 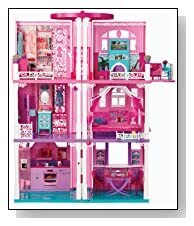 Bedrooms, guest rooms, bathrooms, a kitchen – everything that should be and would be in a cozy house are represented in a tried-and-true Barbie fashion. There’s even an elevator to carry Barbie’s weary bones to bed after a night of amusing new-found friends and old acquaintances. Crayola has long-since been the go-to for artistic kiddos and their creative whims! 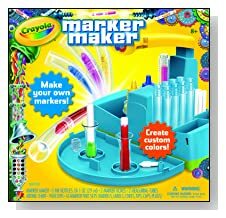 This set allows your miniature artist to make their own mediums for drawing, sketching, and coloring. 16 markers are created from mixing, blending, and injecting an array of colorful inks into each cartridge. A compact carrying case makes the set a cinch to tote from one friend’s house to another, and the mixing guide details how to make new secondary hues from a blend of primary shades. Overall, a gift for any vibrant personality! Crayola is again making their mark on my short-list! Building, launching, and smashing are all an essential part of playtime with this set. A vicious T-Rex will destroy the doughy town that your youngsters have concocted, chewing on Morphix cars and wreaking ultimate chaos across the custom-built city. 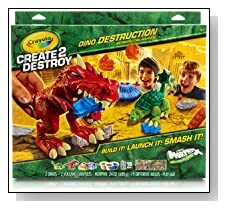 When their Metropolis lies in ruins, kids can start all over again, building bigger, better structures to keep the monstrous Dino and his raging appetite at bay. After extensive research and a few pre-released reviews, I’ve discovered that the upcoming New Year is going to be AWESOME for kiddos! That’s right – the best toys for 5 year olds 2014 are going to be (or have been) produced earlier than expected, and they’re already soaring to the top of a list of the best of the best. However, out of the top-10, I’ve picked 3 that can only been deemed spectacular. They’re unique, different than other knickknacks you’d typically shop-around for, and perfect for a 5-year old. They will enhance thriving minds, inspiring natural imaginations, and encourage a child’s developmental skills through hours of amusing, amazing play. 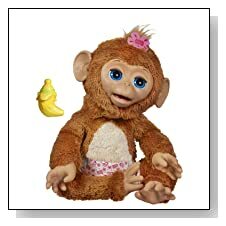 Save for the diaper and adorable barrette, Cuddles is exactly like a realistic baby monkey! She’s a cutesy chimp that giggles, coos, snuggles, and interacts with her newfound friends. When Cuddles is swung upside down, she’ll shout “Wee!” Whereas, putting her to bed or rocking her will result in instant snoozing with soft breathing and fluttering eyelashes. She’s the perfect cuddle-buddy for bedtime! Robin the…well…Robin, Mia the Bluebird, and Clover the Rabbit are included, as well as a magical amulet gifted to Sofia by the royal king and her beloved father. Youngsters can construct their own LEGO cityscape over the gradual course of 24 days – beginning in December! The weeks leading up to Christmas are the most exciting for a child, as their anticipation mounts and they attempt to find new ways to make the time go by quicker. This toy helps ease that anxiety by allowing kiddos to unveil a new mini-figurine or essential LEGO city segment for 24 consecutive evenings. A special holiday-themed figurine caps off the set with a bang on Christmas! Could it be Santa Claus? Or perhaps a mischievous little elf? Let’s find out! Pies are awesome…as a rule! Especially when they’re warm, homemade, and made from all-around delicious, fresh ingredients. 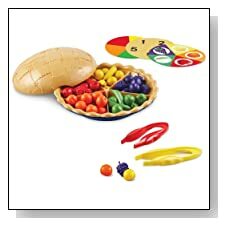 I’m sure this pie would be scrumptious too, but the plastic kind-of gets in the way. Instead, we’re using this cutesy confection as a counting tool for kiddos. Packed with vegetables and fruits, this pastry opens to reveal an assortment of ingredients within. There are 3 pie-shaped cards with different game ideas on them, but kids are encouraged to make-up their own games to incorporate the counting pie.